The Icebreakers Festival is being held on April 29-30, 2018 in St. Petersburg featuring five acting ships, one museum ship and massive cultural and show program and providing an absolutely unique opportunity to see how an icebreaker looks from inside. 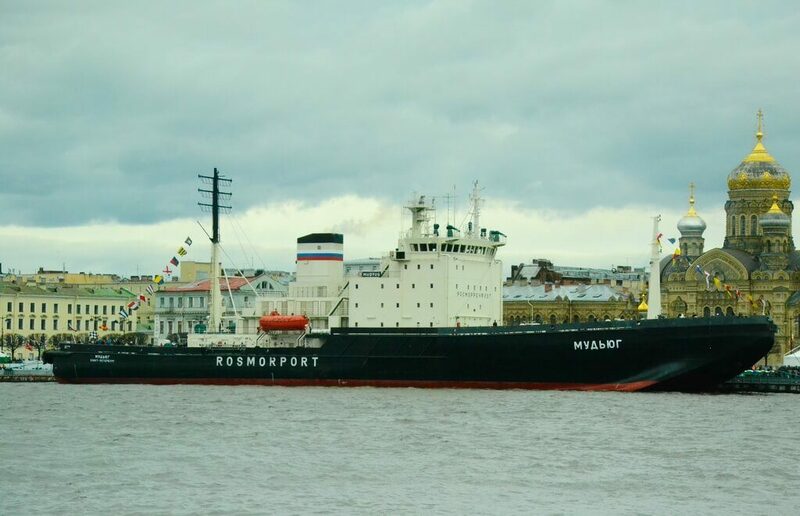 Five Russians icebreakers — Mudyug (the cover photo), Nevskaya Zastava, Saint Petersburg, Novorossyisk and Ivan Kruzenshtern (the picture below) — will be moored at the Angliyskaya (English) and the Lieutenanta Shmidta (Lieutenant Shmidt) embankments. 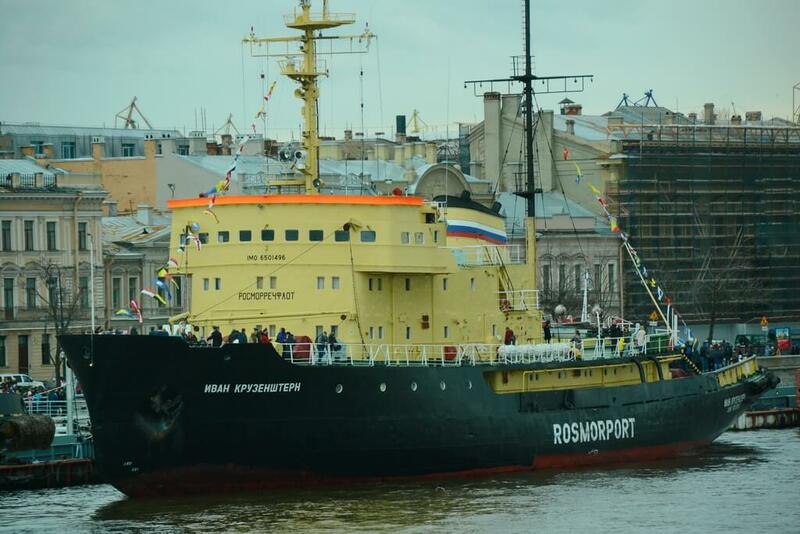 Icebreaker Leonid Krasin, which is now a museum, is located across the Neva river and is also a part of the festival. You can visit all the ships for free. It’s a real splendid opportunity for all transport and technology lovers to get details about how an icebreaker works or at least shoot incredible selfies. Attention: comfort shoes without heel is obligatory when visiting an icebreaker. Visits to the ships start at 13.30 and last till 18.00. There will be a few scenes organized at the embankments where you can see musical bands and dancing collectives performing from 11.00 to 19.00 throughout the two days. All the activities of the festival are free.